Our goal is to provide the best furnace air filters for every home. While pure air is always our goal, we know that some HVAC units are unable to use higher MERV rating furnace air filters. So, we also offer MERV 8 filters. Our 20x25x4 furnace filters are the perfect filters for homes that have older HVAC units. 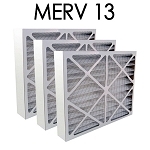 Even though MERV 8 filters are not as efficient as higher MERV rating filters, they are still great furnace air filters. The initial efficiency of our MERV 8 filters is 74.3% for particles 7.0 – 10.0 microns in size. Remember though, that is just the initial efficiency…after a few complete air changes, the MERV 8 filter will have heightened efficiency. In areas where a lot of larger airborne particles are present, furnace filters 20x25x4 are the optimum choice. Compared to cheap, fiberglass filters, a 20x25x4 furnace filter is a considerably better choice for healthier air. These filters are also electrostatically charged, which means the furnace filters 20x25x4 act as a magnet for the larger airborne particles. 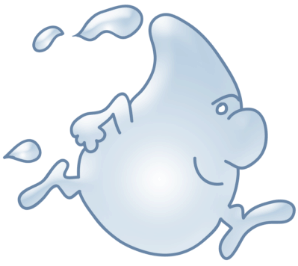 Whether you are in the market for 20x25x4 MERV 8 filters or just looking for simple tools to aid you in purifying the air in your home, Water Filters FAST wants to be the solution for all your clean air needs. We offer a wide variety of different furnace air filter sizes including furnace filters 20x25x4.